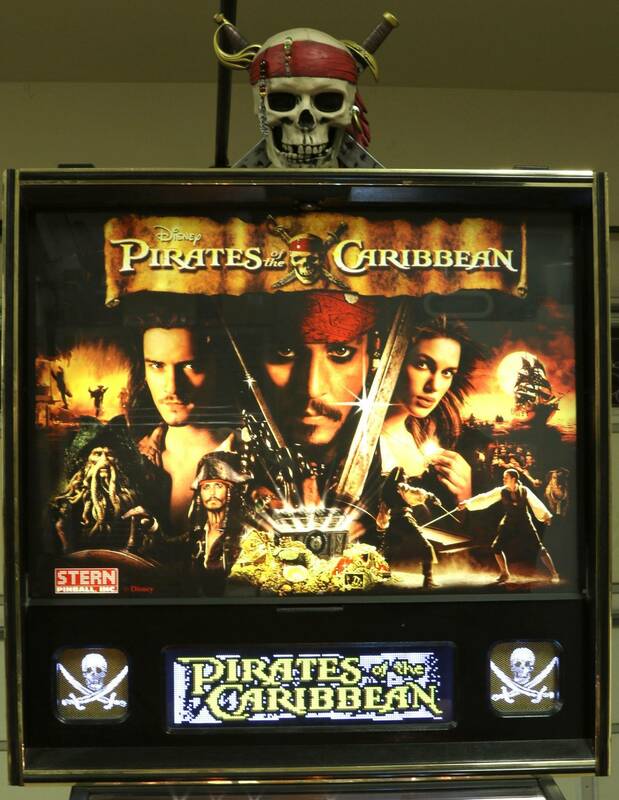 » Forum » Market » Buying and selling advice » First time buyer is Pirates of Caribbean HUO a good start? » First time buyer is Pirates of Caribbean HUO a good start? First time buyer is Pirates of Caribbean HUO a good start? First time buyer for Pirates of the Caribbean for my kids HUO. Good pin to get our feet wet? Reliable? It's been a favorite play at the local arcade. Any advice welcomed. Thanks! It's a pretty easy pin, so if your kids are young it's probably a good choice. However, if they're teens now and really get into it, they might get bored since it's pretty simple. If you get it, definitely get a color DMD. Really dresses up the experience. If money is no object, get a Wizard of Oz. Fun for all ages and ability levels. You can really grow into it. But you're looking at $3k-$4k more than a PoTC. I'd say yes. It's a relevant theme that they should stay drawn to. As far as reliability...I'd let everyone know where you are located and see if someone local will go look at it with you who knows what to look for. Make sure it was maintained, no issues etc. HUO POTC's come up for sale pretty regularly. If it's mint around $4500 lightly modded is where I'd want to be. I had one for a bit, it's definitely a fun game. Only issue is the ship, it tends to break. It's design is a bit odd, a mix of coils, springs and a motor to make it work so there is a lot that can go wrong with that particular part. Not too bad to repair it though if you take the time to figure out how the ship works, and the parts for it are available and cheap. It's a great first pin, good rules, a lot of shots, good theme integration, nice gimmicks with the spinning disk and ship. It's not an easy pin if you want to complete the compass. Sinking four ships is not an easy task. I think they can be had for 4500-5k and they tend to sell pretty well. Unlike newer sterns, games from this era were made better. We have one and always seems to attract just about everyone that we have over, most non die hard pinball folks like it. Great game. Quality-built, with excellent, durable toys. '06-'08 we're my favorite Stern years with POTC, SM, and BDK. High quality, great, reliable games that are loaded with things to do. Great choice, can't go wrong. I've always fancied owning one but I would turn the difficulty up. I played such a long game in an arcade that it was getting boring and I'm not a great player by any means. The game kinda blows. Good for kids and beginners but serious players will get bored quickly. Decent choice for a first "family" pin. It's a fun game. The "wizard" modes are difficult to get to. It's fashionable for "seasoned" pinball nerdists to slag on the game but it's a good one. Someone else mentioned it's from the well-built years at stern. I'd agree. It felt way more solid in terms of build, play field items, everything than current sterns. The optos at the ship entrance were the only issue I had with mine. I replaced them and had no more issues. Ship worked great in home use only. The kids will love it. If they get too good, you can crank up the difficulty. What a cool dad! Most kids would be lucky to get a POTC Zizzle, or an EM if they were really lucky! A WOZ would be overkill, in my opinion, especially for a first pin. Open the outlanes and the game gets much harder. Really a great family friendly pin. Couldn't think of a better first pin. Great family pin, especially with boys. It was not a long term pin in my collection because it was fairly easy, but that is probably good for a first pin. Start thinking about the second pin you are going to put next to it. You can't have just one. Great first pin and a theme with tons of appeal. It has longer playing times to draw in new players, and tons of code and depth for experienced players to explore in a game with lots of cool toys and features all over the playfield. Easy to play, hard to complete. It has been very reliable as well here. No issues in multiple years so far. And its price/demand has been holding well for years. Like any pin out there, it can be setup to be easier or harder as well. If you get one, these PotC skulls are pretty cheap and make a great topper. As far as maintenance no different then most others. I'm sure your paying about 5k for a true HUO so there are a bunch of games at that price point. It's an awesome game, and the by far favorite of those that come to visit my home. Your family will love it. Not "easy" by any means, I've never made it to the wizard mode myself, great game! I owned one briefly and I personally loved it. Its a great theme for kids of all ages and the ship toy is really unique. I would say that it might get stale on its own but everyone in this hobby knows one pin quickly turns into two pins. Sure, why not? Important thing is that you guys know you like it. Some guys buy games without playing and then find out they don't like it. I don't get that. Games don't have to be complex or hard to be fun. Any game gets old after a while. You can always trade the game for something else later on. Most pins are fairly reliable if taken care of. I have owned the pin for 9+ years and nothing has ever broke on my pin. I guess it just depends. I think it's a great firs pin for reliability (at least my experience), fun especially for younger kids and family. It's fairly easy to understand the rules and make a good bit of progress but it will take a good player to reach the wizard modes. I myself have never made it to the Wizard mode (three balls plus EB) but it's within my sight. So I like that since it's reachable but not easy by any means. Let's say, I have kept it all this time, could have flipped it for a different game but it has kept my interest for 9+ years. If I had a small collection I would probably have traded it but since I was able to keep it while adding to my collection, I kept it. I like the theme, I am just watching the movies again (the pin is only covers movie 1 and 2) it is loosely based on the movies, I mean it uses the places and Heart-chest/Kraken, liars dice, collecting pirates etc. from movie 2 maybe the Tortuga and Port Royal and compass from movies 1-2 and the ships names whatnot. But it is not a strict retelling of the movies. I don't recall there being a lot of ship to ship combat in the movies, there was some and you never really fight the Kraken that is just made up for the pin. So it's more loosely based on the movies, not like SM which as movie scenes in the DMD and movie call outs . There's a pretty huge Kraken fight set piece in Pirates 2.
good point, all in fun movies. If you enjoy the game, find one in good shape at an acceptable price that seems to have everything working properly, sounds like a good first pin. Things I've noticed that make a negative experience for first-time buyers are getting pins they haven't really played or buying a beater if they aren't really familiar with working on pins. Pirates is a great pin to get your feet wet. Great theme for the family and reliability. Great game, I say go for it! Let us know what you decide.